Enjoy The Private Back Deck Perfect For Entertaining, Pool, Tennis, Clubhouse, Dog Area & Kids Play Set/Areawater, Hoa Includes:Basic Cable, Garbage, Termite, Etc! MLS#6527645. Keller Williams Realty Cityside. Telfair - Fresh Paint, Iron Balusters, All Led Lighting, Fridge/Washer/Dryer Included. MLS#6526400. Berkshire Hathaway Homeservices Georgia Properties. Many Great Amenities Pool, Fitness Facility, Tennis, Gated Community & Clubhouse. MLS#6526215. Bhgre Metro Brokers. Great Complex With Pool, Tennis, And Clubhouse. Easy Access To Ga 400. MLS#6525482. Chapman Hall Realtors. Ask About Move In Pkg Incentive Right Now! MLS#6524567. Engel & Volkers Buckhead Atlanta. 2 Car Garage. Walk To Shopping. MLS#6524867. Atlanta Fine Homes Sothebys International. Enjoy The Fenced In Private Back Deck! MLS#6524896. Keller Williams Realty Atl North. Community Offers Ample Parking, Community Pool And Club House. MLS#6524802. Ansley Atlanta Real Estate-Atlanta North. Autumn Chace - Walk To Mercedes, Cox Communications, & Marta. MLS#6523974. Coldwell Banker Residential Brokerage. So Close To The Chattahoochee River Parks And Trails Where You Can Run, Bike Or Paddle For Miles! Between Roswell & Sandy Springs! MLS#6523361. 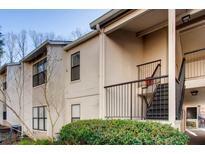 Red Barn Real Estate,Llc..
Huntcliff - Great Price For Hard To Find Condo In This Area And In This Condition. Welcome Home! MLS#6522822. Keller Williams Realty Atl Part. Selling Agent Must Obtain Cbs Code From Listing Agent. MLS#6523272. Coldwell Banker Residential Brokerage. Woodcliff - You'Ll Love To Call This Your Home. MLS#6521577. Keller Williams North Atlanta. Park Towers - Large Master Suite With Walk-In Closet, Spa Bath, Soaking Tub, Separate Shower, Granite Counters & Heated Floors. Large Add'L Bed/Bath + Storage Unit! MLS#6520921. Atlanta Fine Homes Sothebys International. Accolades - Enjoy The Deck For Morning Coffee Or Evening Glass Of Wine. MLS#6522254. Keller Williams Realty Atlanta Partners. Amenities Include Swim, Tennis, And Racquetball Courts! MLS#6521244. Harry Norman Realtors. 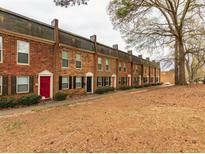 Minutes To North Springs Marta Station, 400, Very Convenient For Intown Access. Super Convenient 4 Work & Play. MLS#6516873. Robby Caban Realty, Llc. Minutes To Us 400 & Hwy 285 MLS#6519503. Engel & Volkers Atlanta. Glen Court - Great Income Generating Property As Well. MLS#6515229. Keller Williams Rlty, First Atlanta. 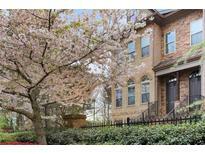 Accolades - Large Family Room With Fireplace; Spacious Kitchen; Wonderful And Spacious Master Suite With Renovated Bathroom. Swim/Tennis Community! Won'T Last Long. MLS#6519670. Re/Max Center. Enjoy The Beautiful Swimming Pool And Well Equipped Gym Only Yards Away From The Unit. MLS#6519789. Re/Max Around Atlanta Realty. 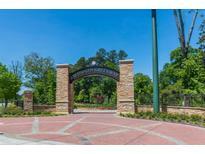 Lafayette Square - Convenient To Perimeter Area, Ga400 And Morgan Falls Overlook Park. MLS#6518855. Keller Williams Rlty, First Atlanta. Convenient Location To Marta, 400, 285 And 75. MLS#6517744. Atlanta Communities. Fully Fenced Yard For Pets, Private Deck With Views Of Tall Mature Trees, 10' Ceilings And A 14X19 Master, Quartz In Mb, Oversized Shower And Spa Tub. Move In Ready! MLS#6518244. Engel & Volkers Buckhead Atlanta. Stone Manor - Hoa Includes Pool, Gym, Clubhouse. This Is A Fantastic Location! ! MLS#6518348. Better Homes Ga Properties , Llc..